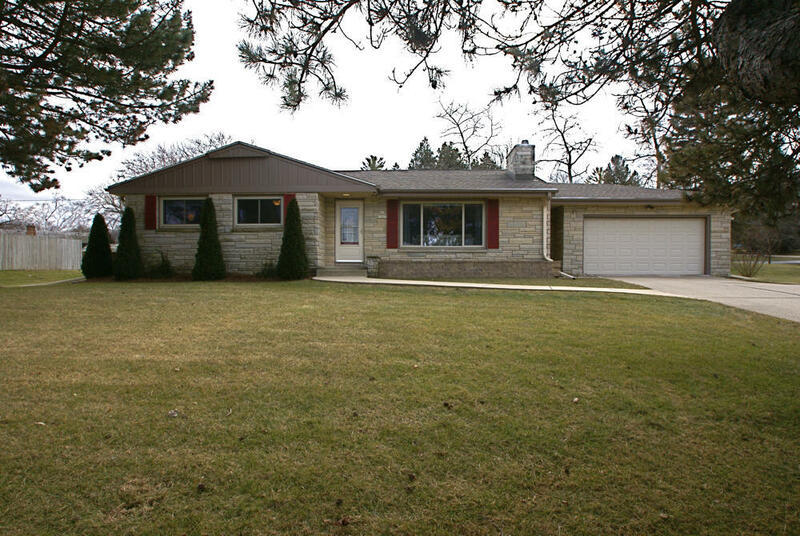 This updated Lannon stone ranch is in a great Muskego location just off Janesville Rd sitting on a nearly 1/2 acre corner lot with easy access to everything. The living room has new carpet and a natural fireplace. The updated granite kitchen with vaulted ceiling is the heart of this home. Completely remodeled full bath, 3 bedrooms and a 1/2 bath complete the main level. The lower level with a second fireplace is ready for you to finish adding additional living area. This move-in ready home is a must see!